The Fiorile Financial Advisory Group is an all-in-one, comprehensive full-service accounting, tax, investment and business services firm. 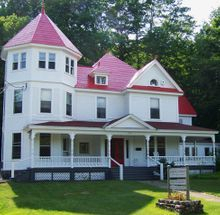 Located in the Olympic High Peaks Region of the Adirondacks of Upstate New York we serve clients from around the globe. Fully utilizing technology in our daily transactions and regular communication, there are no geographic borders. This means that regardless of your location, we are easily accessible and prepared to render services to you, while also maintaining regular video-communication. Your peers have turned to Fiorile Financial Advisory Group to grow their bottom so that they can focus on their professional practice or business; why not you? "Our mission is to be assertively proactive in the manner in which we service you. There is simply no situation or problem that the Fiorile Financial Advisory Group cannot handle. Our diversified group of attorneys, realtors, actuaries, insurance agents and various other professionals are at our disposal." Click Linked-in to join our network.